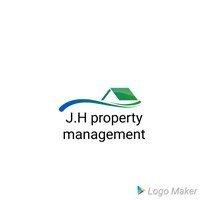 J H Property Management - Home Improvements based in Rawmarsh, South Yorkshire. Hi my name is John Hollen. At J.H property management, we pride ourselfs on customer satisfactions and the quality of our work. Please feel free to ask us for a free no obligation quote. We offer services from unblocking sinks to fitting kitchens and bathrooms. All aspects of the property are covered along with the age old saying "NO JOB TWO SMALL" we will cover any size job as long as the customer is happy.